The police said the accused had not taken proper steps for the safety of workers and did not train them properly, as a result of which while mixing the chemicals, there was an explosion in the reactor, which led to the fire. The incident took place at Ramdeo Chemicals in the Boisar-Tarapur industrial estate on March 8. 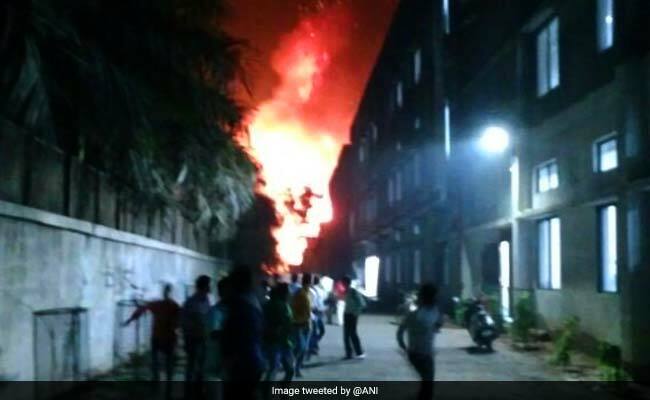 New Delhi: The district rural police today arrested four people in connection with the fire at a chemicals factory in the Boisar-Tarapur industrial estate in Mumbai last week, that claimed four lives. Those arrested include the factory's owner, Saral Shah, its manager Hemraj Varasane, a chemist employed with the factory, Namdeo Mhatre, and a worker-supervisor, Raju Raote. Offences have been registered against them under IPC sections 304(A) (causing death by negligence), 338 (causing grievous hurt by an act endangering life or personal safety of others) and other relevant provisions, the police said in a release issued in Mumbai today. Those who were killed in the mishap were from the nearby drug manufacturing unit, the police said. While three people were charred to death on the day of the incident on March 8, one more person died yesterday while undergoing treatment in a hospital, the police said. The incident took place at Ramdeo Chemicals in the Boisar-Tarapur industrial estate on March 8. The fire engulfed the factory after a massive explosion inside a boiler, a senior police official had earlier said. The impact of the blast was felt in villages around 8 km away from the factory, he said. Three factories neighbouring Ramdeo Chemicals were also gutted in the blaze and 13 people were injured. They were admitted to various hospitals, the police had said. The Tarapur Atomic Power Station, which is also located on the Boisar-Tarapur Road, is around 20 km away from the spot. Meanwhile, following instructions from district collector Prashant Narnavre, the police had earlier registered offences against an officer of BARC's fire station in Tarapur for refusing to send fire tenders to the accident site for help in dousing the flames. He apparently told officials of the district disaster control cell that he cannot oblige without the permission of seniors. Offences have been registered against him under relevant provisions of the District Disaster Management Regulations, the district authorities said.